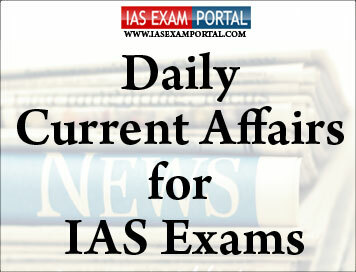 Current Affairs for IAS Exams - 5 DECEMBER 2018 | IAS EXAM PORTAL - India's Largest Community for UPSC Exam Aspirants. Senior advocate Vijay Hansaria, appointed as amicus curiae to assist the court in the matter, said there were 4,122 criminal cases pending, some for over three decades, against present and former Members of Parliament and Legislative Assemblies. The top court fixed the sequence for cases to be tried in these courts and said cases against sitting or former MPs or MLAs involving offences punishable with life imprisonment or death sentence, shall be taken as a first priority. A Bench of Chief Justice RanjanGogoi and Justices Sanjay KishanKaul and K. M. Joseph said creating designated courts in each districts would be a more effective step than concentrating all such cases in one special court. A report compiled by the amicus curiae revealed that 2,324 of the cases were against sitting MPs and MLAs.The report was submitted in a case initiated by lawyer and BJP leader AshwiniUpadhyay, who has sought a lifetime ban on politicians convicted in criminal cases, besides setting up of special courts to try such cases. Ten States including Bihar, Chandigarh, Manipur, Meghalaya, Odisha, Telengana, Tamil Nadu and West Bengal have notified the State rules, the survey said. The study, conducted in collaboration with the National Centre for Promotion of Employment for Disabled People (NCPEDP) and National Committee on the Rights of Persons with Disabilities (NCRPD), said the Act, passed in December 2016, should have been notified by all States within six months. The study, which concentrated on the States’ administrative machinery with respect to the Act, found that 79.2% of the States had not constituted the funds for implementation of the RPWD Act. Among the five States to have constituted the funds, Tamil Nadu has allocated Rs. 10 crore while Himachal Pradesh has allocated Rs. 5 crore. Though 62.5% of the States have appointed Commissioners for Persons with Disabilities, “the progress has not been substantial. Only three States have constituted Advisory Committees, comprising of experts, to assist the State Commissioners” the study noted. Out of the 24 States and Union Territories that responded to the study, Madhya Pradesh was ranked the highest, followed by Odisha, Meghalaya and Himachal Pradesh. While 58.3% of the States have not notified Special Courts in the districts for trying offences under the Act, 87.5% have not appointed a Special Public Prosecutors as mandated by the law, the study said. The Vice President of India, Shri M. Venkaiah Naidu has said that India has the potential to become global aviation hub for MRO (Maintenance Repair and Overhaul) in view of the growing aviation business, huge pool of engineering talent and low labour costs. Calling aviation sector as the backbone of the global transport system, Shri Naidu said that was indeed an important driver of the economy and the most vital sector for linking businesses, bringing people together and promoting tourism worldwide. Growth in aviation sector would yield positive results in promoting connectivity and creating jobs, he added. Shri Naidu said that the government has taken a series of measures to improve infrastructure and regional air connectivity in the country and added that schemes such as UDAN would develop regional connectivity and promote economically viable flights on regional routes. The Vice President called upon State Governments to partner with the Centre in a true ‘Team India’ spirit for building a new prosperous, inclusive New India by creating the right ecosystem for the growth of various sectors. The political differences between parties must end with elections and focus should be given to governance after assuming power, he added. The Vice President said that increase in public investments in infrastructure projects of aviation and other areas were contributing in overall development of economy. Indian economy which is growing at a steady pace and the systemic governance reforms are helping to create a more inclusive society, he added. India also has the potential to become a global hub for MRO (Maintenance Repair and Overhaul) in view of the growing aviation business, huge pool of engineering talent and low labour costs,he said. Demonetisation was beneficial in terms of increasing the tax base as well as increasing direct tax collections, Central Board of Direct Taxes Chairman Sushil Chandra said on Tuesday. Mr. Chandra added that India had begun to receive information on an automatic basis from 70 countries regarding foreign assets and bank accounts held by Indians. “If anybody has not shown foreign assets or a foreign bank account in their I-T returns, the department will take action against them,” he said. India and the U.S. are planning to “sort out” issues around a U.S. sanctions waiver related to India’s purchase of the S-400 Triumf missile defence system from Russia, U.S. Secretary of Defence Jim Mattis told the press at the Pentagon on Monday. However, the President may make an exemption to CAATSA as per the John S. McCain National Defense Authorization Act (NDAA) for FY19 — Mr.Mattis was pivotal in pushing for this part of the legislation, citing India and other countries as examples of those with historic ties to Russia now wanting to purchase U.S. defence equipment. Ms.Sitharaman was given an extended honour cordon (guard) at the Pentagon on Monday where she and other Indian officials visited for talks with Mr.Mattis and his team. Ms.Sitharaman and Mr.Mattis spoke briefly on bilateral ties and Mr.Mattis took a few questions from the press. India – UAE sign currency swap deal worth Rs.3500cr. India and the United Arab Emirates on Tuesday signed a currency swap agreement to boost investment and enable direct trade without using dollars or other international currencies. The agreement was signed after the 12th India-UAE joint commission meeting co-chaired by External Affairs Minister SushmaSwaraj and the UAE's Foreign Minister Sheikh Abdulla bin Zayed al Nahyan in Abu Dhabi. Swaraj and Abdullah also jointly inaugurated a digital interactive museum showcasing the life, works and philosophy of Mahatma Gandhi and the founder of modern UAE ShaikhZayed. The Gandhi-Zayed Digital Museum, which will promote peace, tolerance and sustainability, is part of the celebrations by the two countries to mark 150th birth anniversary of Mahatma Gandhi and centenary celebrations of the birth of ShaikhZayed. Last year’s number was more than double the 6,022 patents granted in 2015, according to WIPO statistics.Of the patents granted last year, 1,712 went to entities and individuals based in India, and 10,675 to foreigners, according to the WIPO report. Luka Modric saw off competition from France’s World Cup stars as the Real Madrid and Croatia midfielder won the Ballon d’Or to end a 10-year stranglehold on the award by Cristiano Ronaldo and Lionel Messi. Modric, 33, was announced as the winner of the prestigious prize in a glitzy ceremony here on Monday.